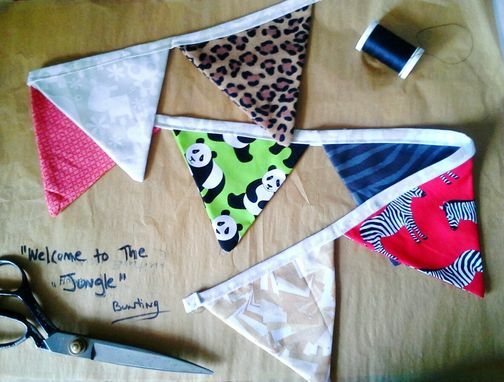 Jungle Fabric Bunting. Nursery Decor, Safari Pennant Flag Banner. 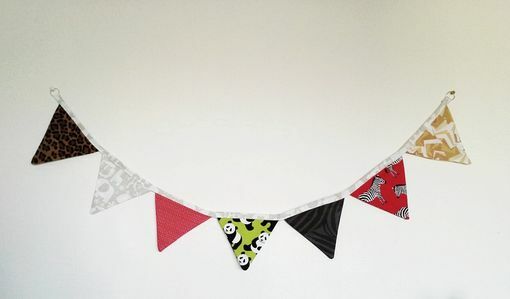 This fun red, tan, brown and lime green cloth bunting is one of a kind and ready to ship! 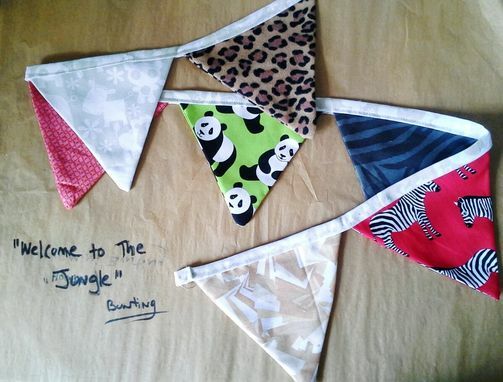 Perfect for birthdays and picnics, or for your jungle or safari themed nursery. 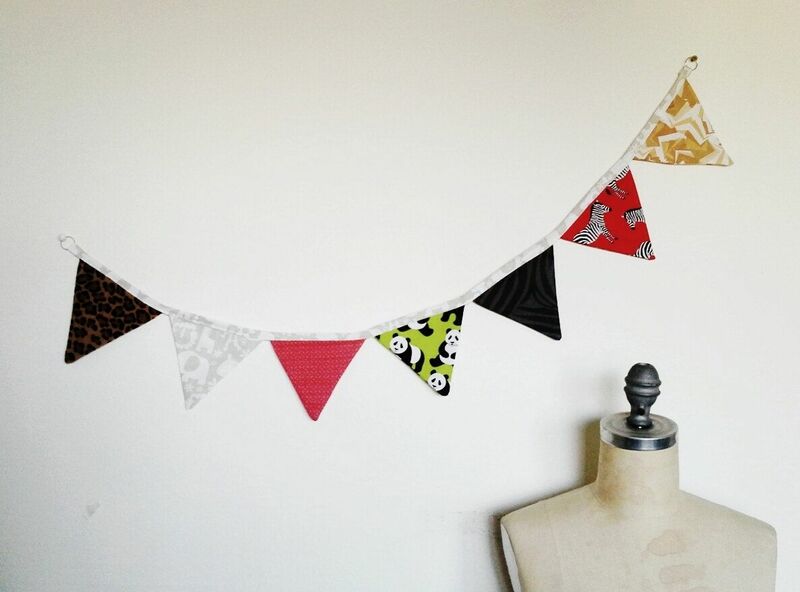 Each flag is hand cut from a different print, all in animal and safari prints. Length measures 44 inches and each triangle is doubled sided and measures approximately 4.5 inches long and almost 5 inches wide at the top. Metal rings on each end allow for easy hanging.